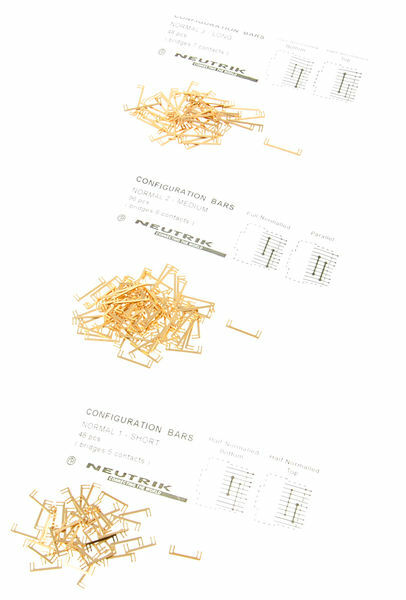 If you've got yourself a Neutrik Patchbay that takes these normalling bars - I know some of the earlier models require the jumpers - then these are incredibly handy to have lying around. Oh and when removing these normalling bars it is best to get a very narrow screw driver (the type used for glasses screws) and pry it out from between the forks. It means you can recycle the bars and not bend them out of place! ID: 251013 © 1996–2019 Thomann GmbH Thomann loves you, because you rock!